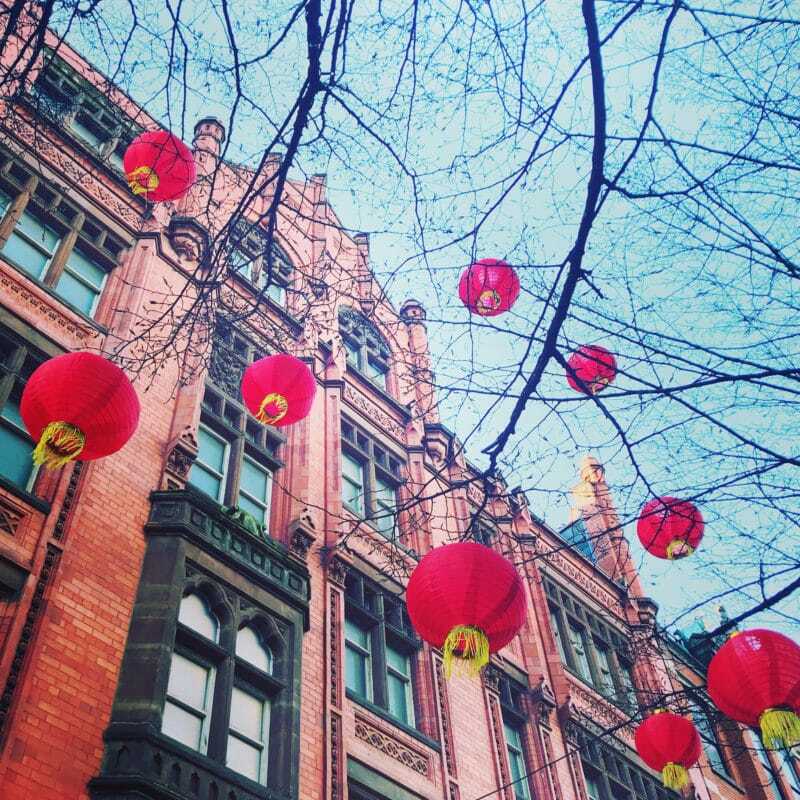 Where to celebrate Chinese New Year in Manchester. 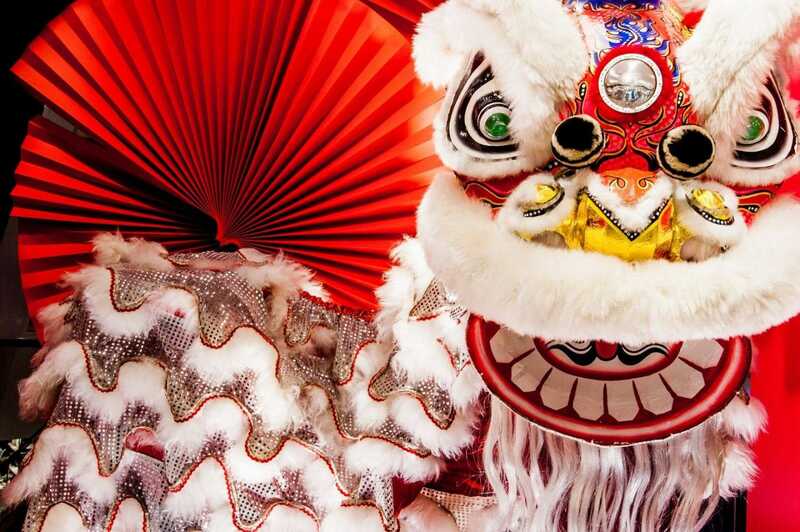 Celebrate Chinese New Year with an itinerary packed full of fun, featuring a giant art installation piglet, a golden dragon, and live performances, all culminating in the legendary Dragon Parade. 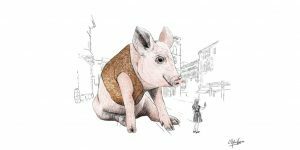 In honour of the Year of the Pig, giant art installation Piglet will be taking centre stage in the city’s St Ann’s Square. 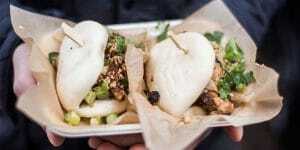 St Ann’s Square will host some of the city’s best purveyors of Chinese food and drink during the festival, including Dim Sum SU, Jade Rabbit, Wallace & Sons and Kowloon Café. 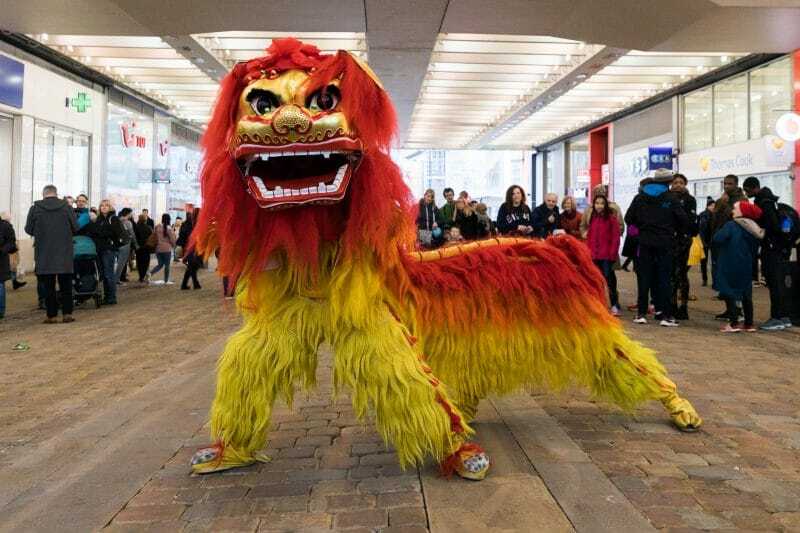 Don’t miss the dazzling Lion Dance outside Boots on Market Street at 12pm, 1pm and 2pm. 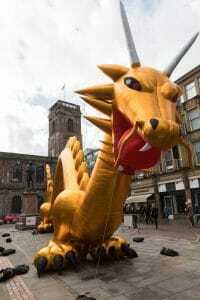 Head to Albert Square and try your hand at Chinese arts and crafts, sample traditional Chinese cuisine at the food market and meet the eight metre inflatable Chinese Money God. 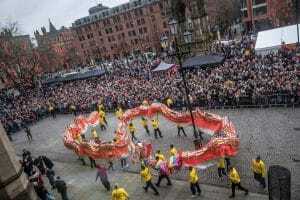 Follow the Chinese New Year Parade, led by a spectacular 175-foot dragon, from Albert Square to Chinatown where you’ll find traditional lion dances, street food, stalls, live performances, a funfair and a fantastic fireworks finale. 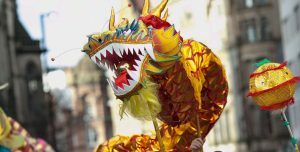 Join Manchester’s Confucius Institute as well as teachers from China and learn all about the traditional Chinese art of paper-cutting. Children will be able to create their own Chinese New Year Pig shaped fan as they learn about the characteristics of this year’s idol. Create your own ‘meme’ with CFCCA for Chinese New Year. 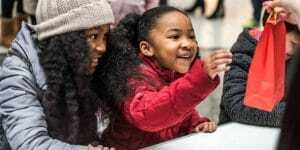 Inspired by its current exhibition ‘Chinternet Ugly’ this workshop, led by experienced practitioners, will help you use traditional craft techniques such as printing and calligraphy. Try your hand at the traditional practice of Tai Chi, with professional demonstrations on the hour and free workshops on the half hour. 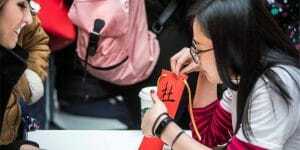 Join Manchester’s Confucius Institute at the Virgin Money Lounge on King Street and explore the traditional art of writing Chinese characters and learn basic Chinese painting techniques. 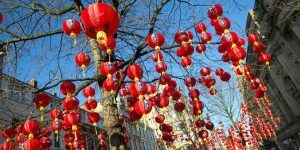 The annual Chinese New Year banquet features traditional celebrations including a multicourse banquet, prosperity toss, lion dancing, firecrackers and prime viewing of the parade and the buzz in the streets below. 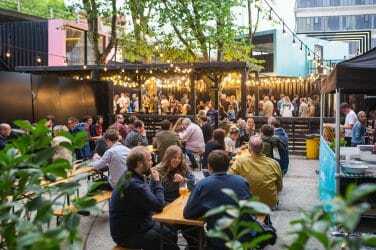 Head to Manchester Art Gallery to celebrate the Year of the Pig with a range of artists and Chinese Performers. 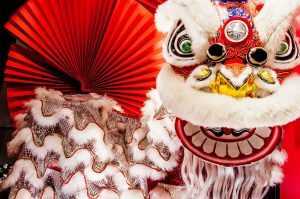 Beginning with a Lion Dance at the front of the Library to let the New Year in, there will be music and dance performances, and a demonstration of the Chinese Tea Ceremony. 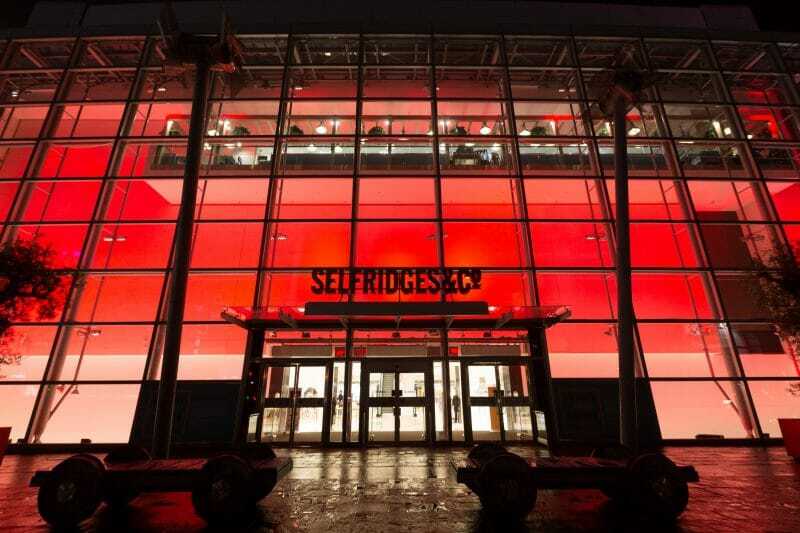 The Chinese New Year celebrations will come to a close with a spectacular firework finale. 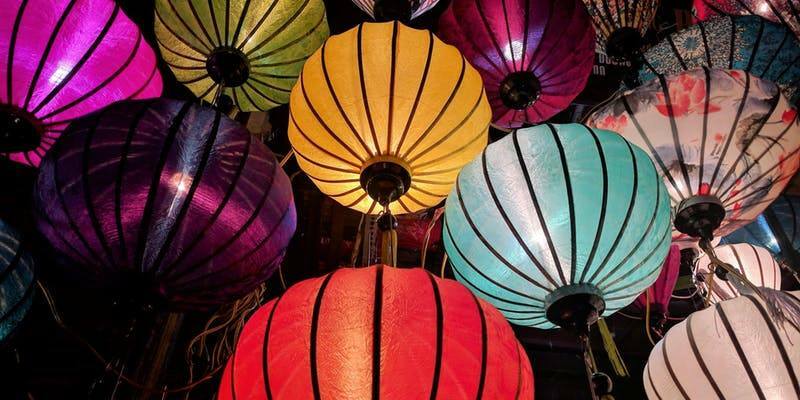 See the skies above Chinatown light up to welcome in the Year of the Pig.